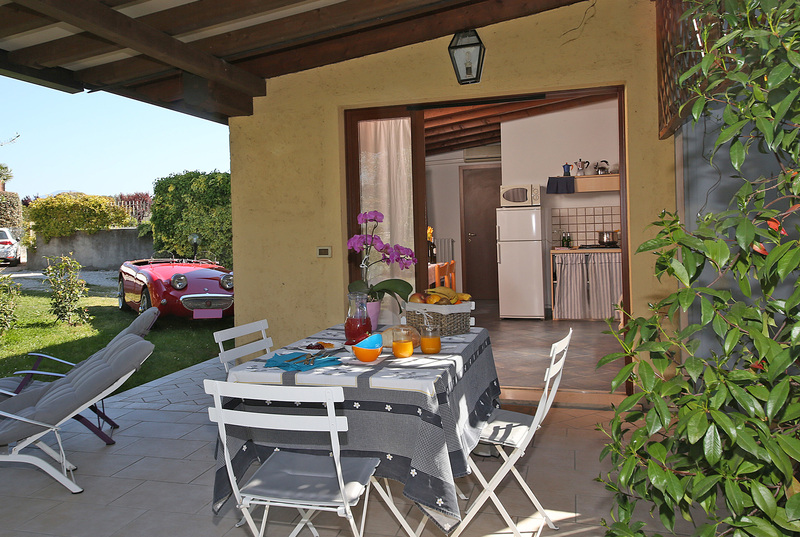 Il Melograno Holiday Home, apartments of various sizes for a quiet holiday for two, a family holiday, or with friends in a strategic area, with all the comforts nearby. Look at the apartments and the pool, choose the right apartment for you and book now. Remember that in case of 100% advance payment you will get a discount !!! The apartment is on the first floor of Casa Amelia. It is a charming suite, intimate and romantic with every comfort for two. The kitchenette is equipped with tableware (plates, cutlery, cups, pots and pans), coffee maker, kettle, microwave and toaster. Sink, gas stove for cooking and a small refrigerator complete the kitchen area. The apartment is on the first floor of Casa Amelia. 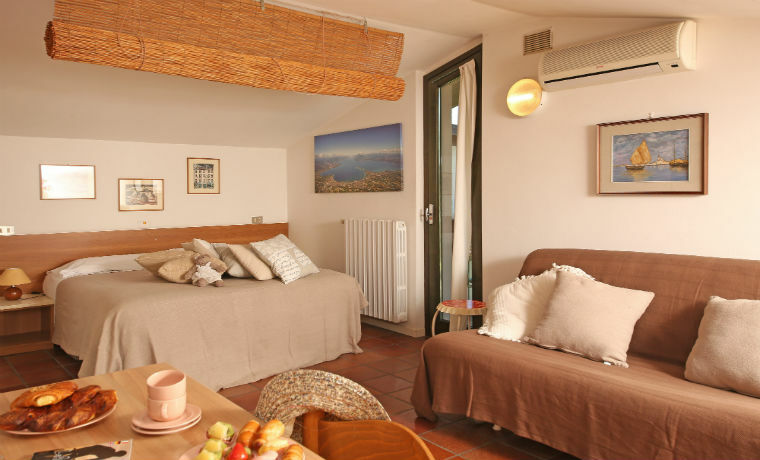 It is an attic studio of about 35 sqm furnished with all comforts. The kitchenette is equipped with tableware (plates, cutlery, cups, pots and pans), coffee maker, kettle, microwave and toaster. 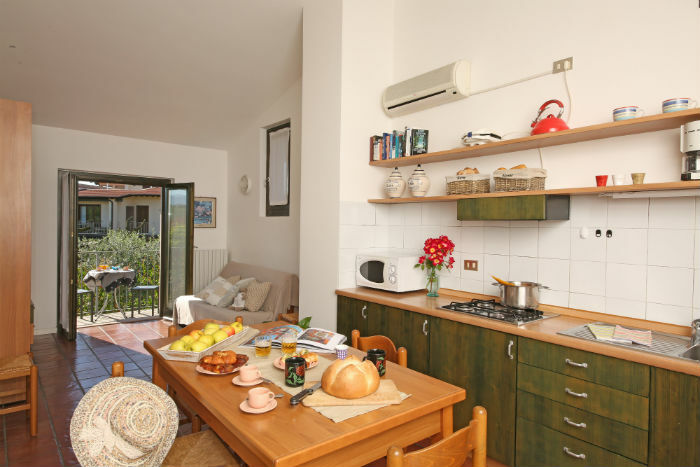 Il Melograno Holiday Home offers 5 One bedroom apartments, 2 are on the first floor by Casa Vanna, three are part of Casa Amelia (2 on ground floor / 1 on the first floor). 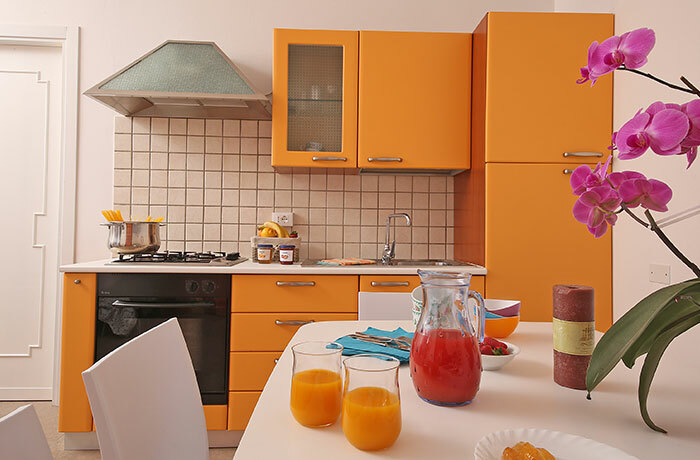 The apartments are furnished with care and every comfort. Indipendent and cozy Cottage with porch. It is in a separate area of the garden, therefore enjoys more privacy and quiet. 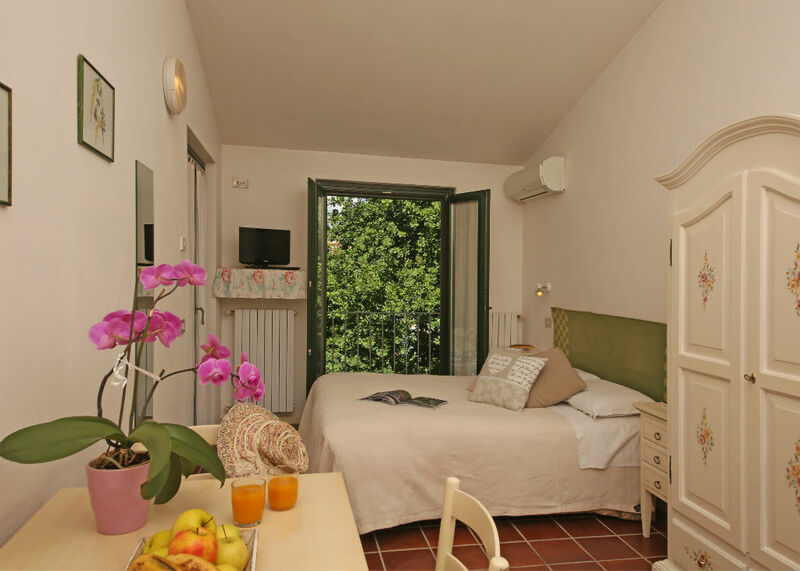 It is a pretty one-bedroom cottage of about 40 sqm, furnished with care and every comfort. The bedroom consists of a wardrobe, a double bed included linen and two bedside tables with reading lamps.The bathroom with 3 little rectangular windows is equipped with sink, bidet, toilet, shower, mirror and shelves. This apartment, large and bright, is on the first floor of Casa Amelia. It is a 45 sqm one-bedroom apartment, furnished with care and neatness , equipped with all necessary comforts..The kitchenette is equipped with tableware (plates, cutlery, cups, pots and pans), coffee maker, kettle, microwave and toaster. Sink, gas stove for cooking and a small refrigerator complete the kitchen area. This apartment is situated on the first floor of Casa Amelia, is furnished with care and neatness and consists of a double bedroom, one room with bunk bed, a kitchenette with a sofa bed, bathroom with shower/WC. The kitchenette is equipped with tableware (plates, cutlery, cups, pots and pans), coffee maker, kettle, microwave and toaster. Sink, gas stove for cooking and a small refrigerator complete the kitchen area. Balcony with wonderful countryside and church of Raffa view. 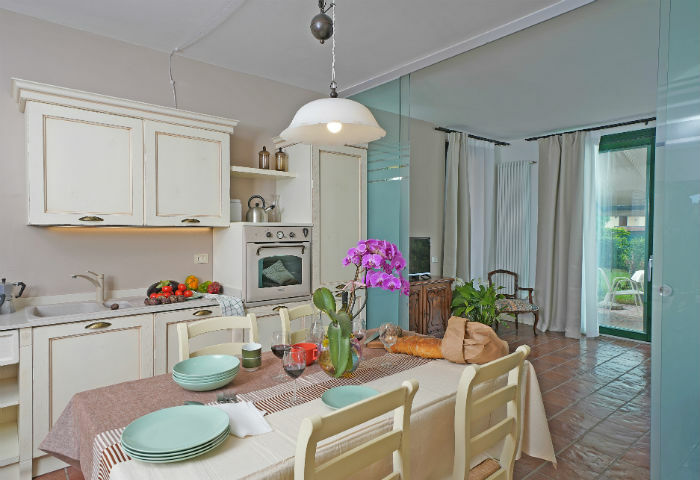 This apartment is situated on raised floor of Casa Vanna, is furnished with care and neatness and consists of a double bedroom, one room with two single beds, a kitchen with a sofa bed, bathroom with shower. The kitchenette is equipped with tableware (plates, cutlery, cups, pots and pans), coffee maker, kettle, microwave and toaster. Sink, gas stove for cooking and a small refrigerator complete the kitchen area. Large balcony. 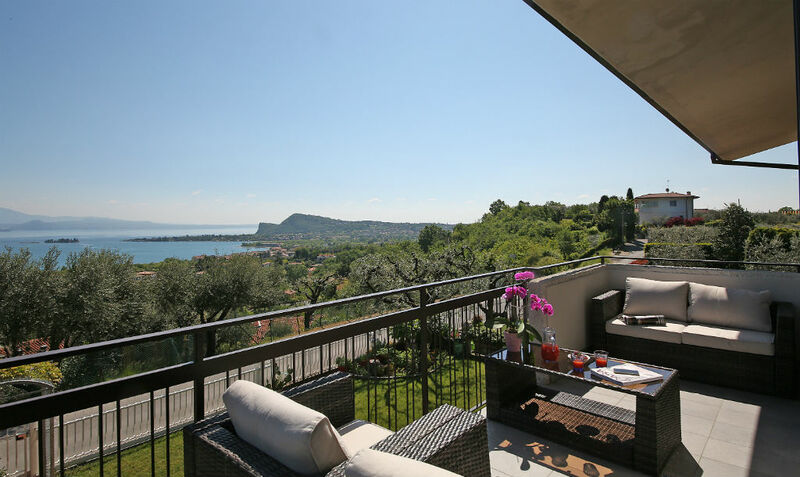 This apartment is new, it was built in 2018, is situated on the ground floor with terrace and garden. Casa Carlo consists of a living-room with a sofa bed, kitchen with oven, dishwasher, one double bedroom, bathroom with shower/WC and is equipped with mosquito nets on all openings. 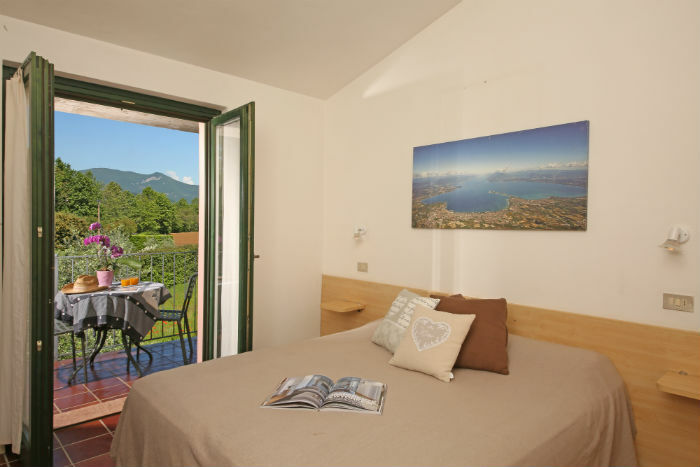 Casa Veronica with lake view is a separate annex of il Melograno Holiday Home.It is only 250 meters far from the main House, and you have free access to all facilities, such as pool, garden and barbecue. This apartment, recently restored, is a large and bright flat on the first floor, perfect for 6 people. 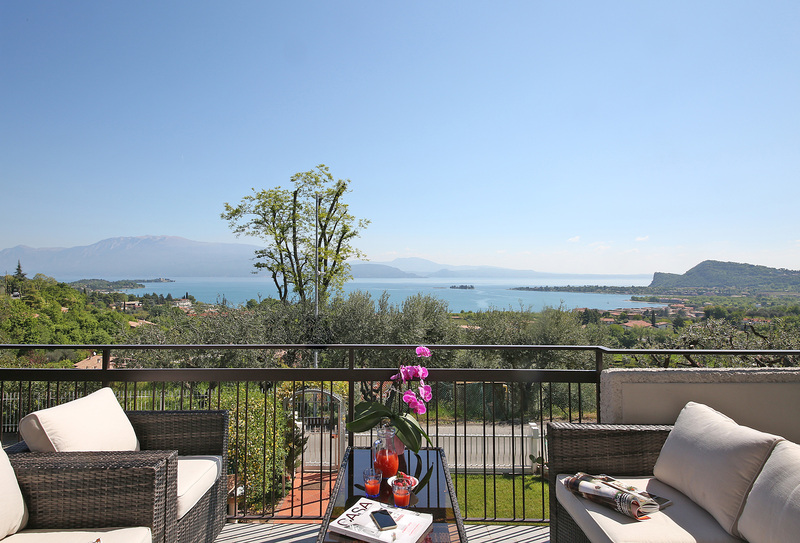 This wonderful apartment with lake view is located in a separate annex of il Melograno Holiday Home. It is only 250 meters far from the main House, and you have free access to all facilities, such as pool,garden and barbecue. Casa Andy, recently restored, is a large and bright flat on the first floor.